Bobby Hebb, the Nashville singer who wrote and performed the soul-pop smash “Sunny,” died today (8/3) in Music City. He played a pivotal role in Nashville’s soul scene, but his roots can be traced to the country community, including his start on the Grand Ole Opry. Born July 26, 1938, Hebb was raised by blind parents in his childhood home near what is today Music Row. Early in life he learned to perform, sing, tap dance, and play the spoons, often as a street musician. Eventually he landed an appearance on famed producer Owen Bradley’s local television show, which caught the attention of Roy Acuff, who in turn invited Hebb to join the Opry’s band. At the time, from about 1950-55, he was the show’s only African-American. 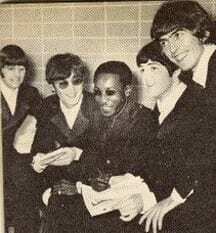 Bobby Hebb with the Beatles. In 1960 Hebb recorded his own version of Acuff’s hit “Night Train To Memphis.” In 1966 his song “Sunny” earned him international prominence and a slot opening for the Beatles. The tune went on to become one of the most-played songs of the 20th century (No. 25 on BMI’s list) and was recorded by Frank Sinatra, Cher, Stevie Wonder, Ella Fitzgerald, James Brown and countless others. 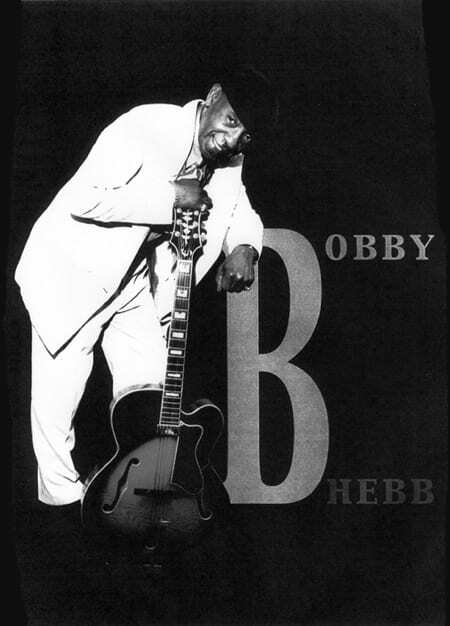 True to his Nashville heritage, Hebb followed his hit “Sunny” with a soul-stacked version of country standard “A Satisfied Mind.” Among other hits he wrote was “A Natural Man,” recorded by Lou Rawls. Success came full circle for Hebb when he was one of the most prominently featured artists in the 2004 Country Music Hall of Fame exhibition Night Train To Nashville, and on the accompanying Grammy-winning album. A funeral service has not been announced but arrangements are being handled by Terrell Broady Funeral Home, 3855 Clarksville Pike.